Discoveries by Michael Amini is a collection of accent furniture in a wide variety of styles, with designs perfect for every home. From traditional to modern, simple to embellished, wood to metal, Discoveries has a piece for everyone's taste. 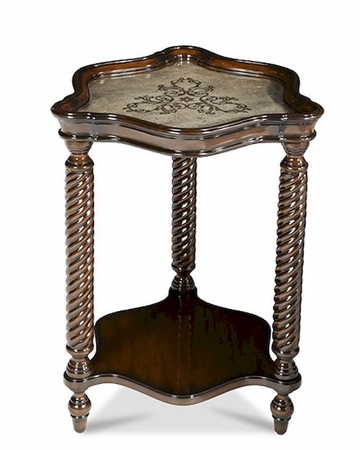 Finish off your beautifully decorated home with these artfully crafted side tables, tray tables and unique nesting tables.